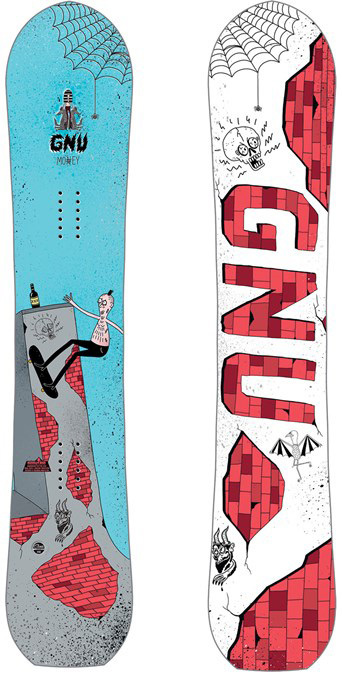 The Gnu Money is a good low Budget one board quiver that shines in Hard snow. It’s great for those that like to have more of a mountain freestyle take to riding on groomers but when it dumps you like to set it back a bit for more directional easier floating riding. Conditions: Pretty hard snow with some good patches of snow as well. Boots: Adidas Tactical ADV for all three. We try to get as many images of the Gnu Money, but forgive us if they're not all there.